Anil Kumble will be in the running once again to be coach of India after he officially re-applied for the post - this despite the BCCI having said there was no need for a formal application as he would be a "direct entry" into a final pool. 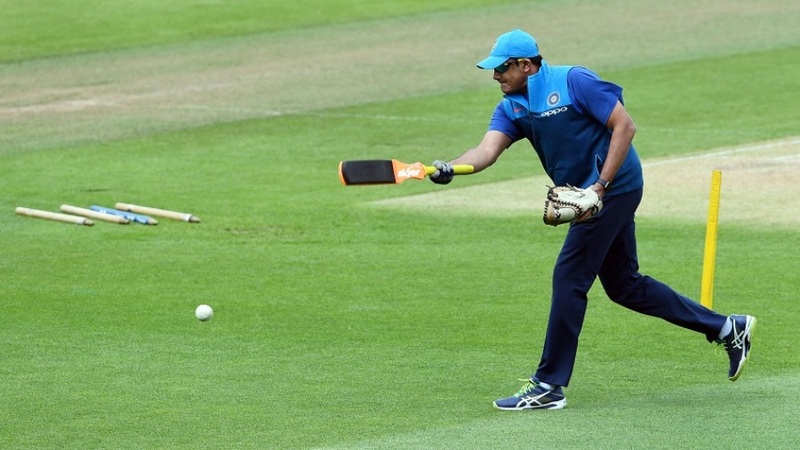 Kumble is part of a six-man shortlist that includes Virender Sehwag, Tom Moody, Richard Pybus, Lalchand Rajput, and Dodda Ganesh, all candidates who will be interviewed by the three-member cricket advisory committee (CAC). Craig McDermott, the former Australian fast bowler had also sent an application but that arrived after the May 31 deadline. The CAC will assess the application and determine his eligibility for the interview. The CAC trio of Sachin Tendulkar, Sourav Ganguly and VVS Laxman is likely to meet this week - most probably Tuesday or Wednesday - to finalise the process and interview schedule. The BCCI wants to identify a candidate before the Champions Trophy ends on June 18, as India travel to the Caribbean immediately after for a limited-overs series. Kumble's one-year contract was always due to end after the Champions Trophy, but instead of continuing a successful arrangement, the BCCI opted to advertise for fresh interviews. In large part, this is thought to be because the BCCI was concerned by player feedback on Kumble: some of the players, including the Indian captain Virat Kohli, have said they were uncomfortable with the "intimidating" style of Kumble's man management. That has not deterred Kumble, whose application was one of the first to arrive when the application process opened on May 25. As well as his CV, Kumble has sent a detailed roadmap outlining his vision for the future of the Indian team. The BCCI and the Committee of Administrators (CoA) told Kumble in person that fresh applications will be considered once his contract ended when they met on the eve of the IPL final in Hyderabad. That meeting, incidentally, was for Kumble to make a detailed presentation on an upgrading of the contracts of Indian players and coaching staff; it is an issue on which Kumble and Kohli are very much on the same page. On the field, however, a widening of ways has developed in recent months, which makes the task of the CAC that much harder. It was, after all, Tendulkar, Ganguly and Laxman who brought Kumble into the fold despite the BCCI not including him in their original shortlist the last time around. Kumble was appointed despite having no formal qualifications. And the subsequent success India has had in the last year under Kumble will only make it harder still. But the weightiest question they will have to ponder is whether the the relationship between Kumble and Kohli is "so dysfunctional" that it cannot be salvaged and will instead be detrimental to the side. Tendulkar and Ganguly are believed to have spoken to Kohli to assess the situation, though they will not speak to Kumble until the interview. The preferred option, according to an official involved with the process, would be to not change something that isn't broken, at least results-wise. "If the divide can be bridged, then that is the best solution because you want continuity if the team has done well for a year," the official said. "You don't need a new coach then. But it has to be something the two can work with. It cannot be a situation where the captain refuses to listen to the coach. The players will listen to the captain. What is the coach going to do then? "We have asked the CAC to talk among themselves before they pick the best person. There are issues. Are they surmountable with the CAC getting involved and sitting down with Kohli and Kumble and sorting it out? I hope it is possible." The new coach, whoever it is, is likely to get a two-year contract with the 2019 World Cup as a main target. As London went to vote on Thursday, three of India's most respected cricketers could have been pardoned for not looking forward to voting on a different issue. Sachin Tendulkar, Sourav Ganguly and VVS Laxman, who constitute the Indian board's Cricket Advisory Committee (CAC), were scheduled to meet BCCI CEO Rahul Johri after the India-Sri Lanka game in London to decide coach Anil Kumble's fate. TOI has learnt that all three are a bit hesitant to remove Kumble, or even interview him. They feel explaining such a move will be a hard thing to do. Understandably so, since they chose him over Ravi Shastri just last year. Since July 2016, with Kumble as coach, India have won 12 of 17 Tests, two out of five T20Is and six out of nine ODIs. They have regained the No. 1 rank in Tests. It is a stellar record. If Kumble is to be removed, it will only be because he, reportedly, does not get along with captain Virat Kohli and other members. Yet Kumble has been teammate to Tendulkar, Laxman and Ganguly, and has been known to be a gentleman cricketer who played with a lot of heart. In his playing days, Kumble never asked for a quarter, nor gave one. How sensible will it be to remove him just to placate the captain? What if such an incident occurs again, with a different captain-coach combine? How will Indian cricket react? On the flip side, isn't it an unwritten rule in top-flight cricket that the captain is the boss? Isn't he the one who knits the team spirit together, and takes the responsibility for victory or defeat? How wise will it be to undermine captain Kohli, who is just getting into his stride as leader and doing an extraordinary job of it? In the only other recent instance of such a captain-coach flare-up, the Ganguly-Greg Chappell saga, the coach had to yield. Yet, would things have turned out differently if India had won the 2007 World Cup with Chappell as coach? Whichever way they sway - retain Kumble for a while more, defer the decision or bring in a new coach - the CAC will have to decide with their heads and not their hearts. In a way, when they sit in judgment on Kumble, they will be sitting in judgment on themselves, on their own decision. How fair is that for cricketers of the stature of Tendulkar, Laxman and Ganguly? Can the CAC look to play peacemaker, and broker a truce between Kohli and Kumble, at least a temporary one? Kohli has, after all, cleared the air about the differences, going on record as saying there isn't any discord in the team. To be fair to Kohli, he had only commented on Kumble's so-called high-handedness in private, in what he believed would be a confidential message. Someone betrayed his confidence. Is it conceivable that someone in the whole "BCCI-old-guard-versus-new-order" fight has had a laugh at Kohli's expense? Whatever they decide, whether to retain Kumble or give one of the applicants among Moody, Pybus, Sehwag and the others a go, it's the CAC which will be cleaning someone else's dirty linen in public. Any new coach to replace Kumble will also be aware that the price of disagreement with the Indian captain will be a heavy one. Tendulkar, Ganguly and Laxman can be forgiven for thinking they didn't sign up for this. Anil Kumble is set to continue his stint as India coach for a few days more, at least until the West Indies tour, with the Cricket Advisory Committee (CAC) asking the Indian cricket board for more time to resolve the issue. TOI had on Thursday reported that the CAC, comprising Sachin Tendulkar, Sourav Ganguly and VVS Laxman, would find it hard to remove Kumble at a moment's notice. Results have gone the India coach's way and the same committee had picked him just last year. On Thursday night here, the CAC met BCCI CEO Rahul Johri at a city hotel and deliberated on the issue for a bit more than two hours. Late in the night, they communicated their decision to the board: give us more time to think over the issue. It is understood members of the CAC have also had separate conversations with Kumble and Kohli. The CAC's procrastination has ensured a hasty truce in the captain-coach saga which has threatened to swamp India's Champions Trophy campaign.The real issue, of how a team can carry on with the captain and coach uncomfortable with each other, has been left unanswered for the moment. "The CAC has bought some time for Kumble and ensured he is not ignominiously removed after India's run in the Champions Trophy . He will travel with the team to West Indies. It's a short tour so there shouldn't be any problems," said a top source. "Kohli is basically being asked to 'adjust' for a while more." For the moment, there is no clarity on when, if at all, the CAC will conduct the pending interviews with the other coaching applicants. The team leaves for the West Indies on June 20 from London and returns to India on July 10. A decision on Kumble is now expected to be taken at the BCCI's SGM on June 26. Incidentally, a day before the SGM, all BCCI members are scheduled to meet Vinod Rai, head of the Committee of Administrators (CoA). BCCI's acting president CK Khanna, who wrote a letter to all stakeholders arguing that the matter be postponed till the BCCI SGM on June 26, told TOI: "How could the coach be replaced in the middle of the Champions Trophy and with the tour to West Indies coming up? Everyone, including IPL chairman Rajiv Shukla, was agreed on the fact that the matter of picking a new coach or giving Kumble an extension must be delayed." All stakeholders involved in trying to sort out the impasse have agreed that the next India coach, whether it is Kumble or some new entrant, should stay on at least till the 2019 World Cup in order to prevent similar controversies form erupting during that period. Kumble, who did not have any previous coaching experience at this level, was only given a one-year contract in June 2016, in order to provide the BCCI with the opportunity to reassess his position should the need arise.